Aug '08 to Oct ‘08. 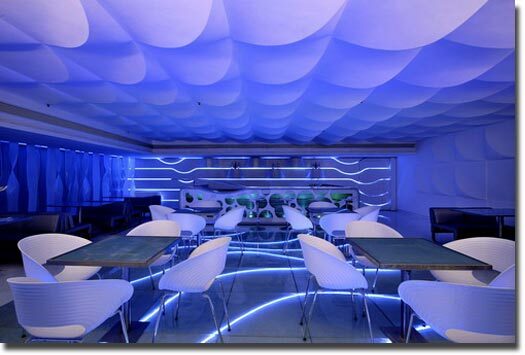 Thematically, the design of this bar draws from the many moods of water. Placid, stirred or agitated, water offers myriad existences to evoke and suggest. More abstractly, water expresses seamlessness, continuity and ability to find balance. We make positive associations of water with calm repose and the nourishment of body and soul. As a bar in a larger hotel, this property manages to become a destination with a distinct, hip, cool contemporary character.